Anyone who has flown within the last few years knows that airport safety and screening regulations are getting a bit intrusive. While it’s good to know that the TSA has our safety in mind, it would be nice to have both our safety and our privacy. A newly-discovered nanomaterial might ease the burden on airport security by detecting and neutralizing explosives before they pose a threat to a plane in flight. 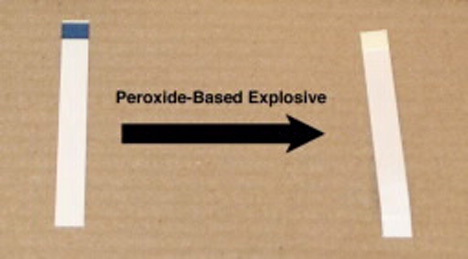 Because the nanomaterial reacts to the peroxide-based explosives that are so popular with terrorists, detectors using the new material could even be used on the battlefield and out in the public to protect citizens and military members everywhere. The nanomaterial is a sort of ink that is comprised of super-small molybdenum nanoparticles. When it encounters peroxide-based explosives – the same ones that have made it a crime to carry a bottle of mouthwash or lotion onto an airplane – it turns from deep blue to pale yellow. The material is extremely sensitive (but not so sensitive that false positives will be a big problem) so could detect tiny amounts of explosives vapor in the air, and only small amounts are required to effectively sniff out dangers. 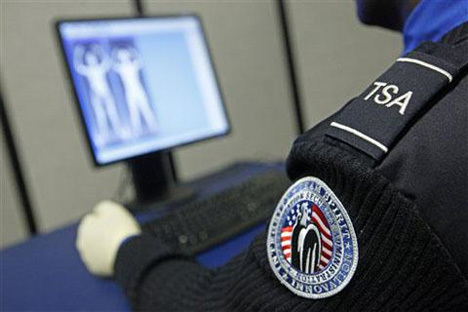 TSA agents, firefighters, police officers and military personnel could wear a small badge on their uniforms containing an electronic sensor made with the nanomaterial which would alert them immediately to the presence of explosives. The craziest part of this new technology is that the detector material also neutralizes explosives: authorities would only have to spritz the device or dunk it in the “ink” until it is no longer a threat. A company called Xplosafe was formed to market the material, which could be in use in airports within a year from now. See more in New Materials or under Science. April, 2011.